Im always looking for interesting sweets to have at the end of a meal that look mouthwatering. In addition I want desserts that I can make ahead and not have to worry about it while my guests are at the house. Cherry Pie bars are an easy make ahead dessert that people LOVE and request over and over again. 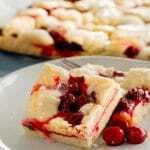 My husband likes pastries and this easy recipe for Cherry Kuchen bars are something he likes for a breakfast treat. What is Kuchen? Kuchen is the German word for cake. Its usually served with coffee thus why I suggest a second way to serve it … not only a breakfast that goes with coffee but as a make-ahead dessert for a bbq or any casual meal. How to make a tender pie bar crust? One of the secrets to the success of this cherry pie bar is making sure the crust it super tender and not tough. To achieve that you will mix the ingredients in in stages, taking care in the last steps to not over mix it. Finally the next step is to place 2/3 of the batter/dough into a greased parchment lined baking pan. You dont need to worry about getting it perfectly level. In fact, its a little prettier when you cut it if the top is wavy. How do you avoid a soggy bottom on the Cherry Dessert Bars? Its super easy! You do a partial bake on the bottom crust before adding the cherry pie filling. This allows the crust to cook without the added moisture of the cherry pie filling seeping through. How to get a rustic crumbly top on your cherry Pie Bars? 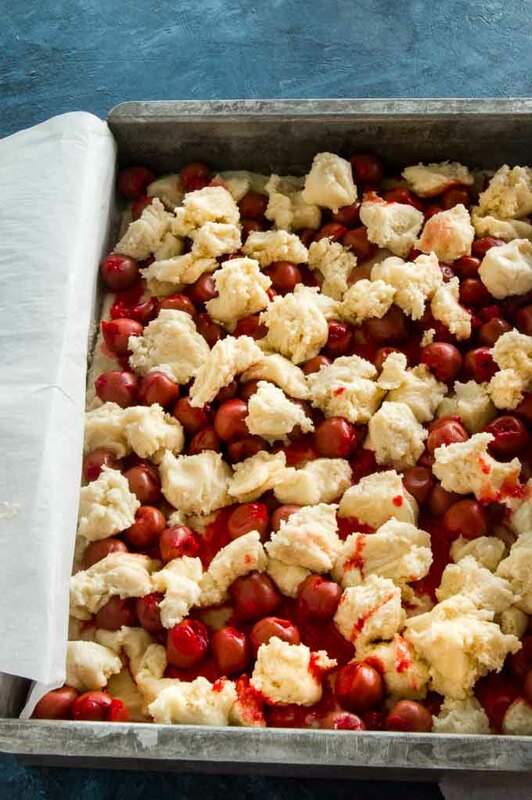 After you put your cherry pie filling over the top of the partially baked crust you will make small balls of the remaining third of the bar batter/dough. Leave some space in between the balls as they will expand in baking (see the photo below.) By placing them on top of the cherry pie filling in pieces you will be able to see the cherries after baking in between all of the balls! PRO TIP: Line your pan with parchment paper for easy removal from the pan? I grease the bottom with butter, then lay a piece of parchment paper leaving long handles on each side to use after cooling to lift them out to place on the cookie cooling rack. This also helps keep the bar from getting soggy as the air can get to the bottom of the bars to help cool it. Can you use canned cherry pie filling for cherry bars? You sure can. I prefer the tart cherries so I usually make my own but in a pinch for time you can use one 21 ounce can of cherry pie filling in place of the homemade version I give in the recipe. Looking for other Cherry Recipes for entertaining? If you’d like more places to see fun recipes and tips for entertaining be sure and check out our pages on the other social networks! 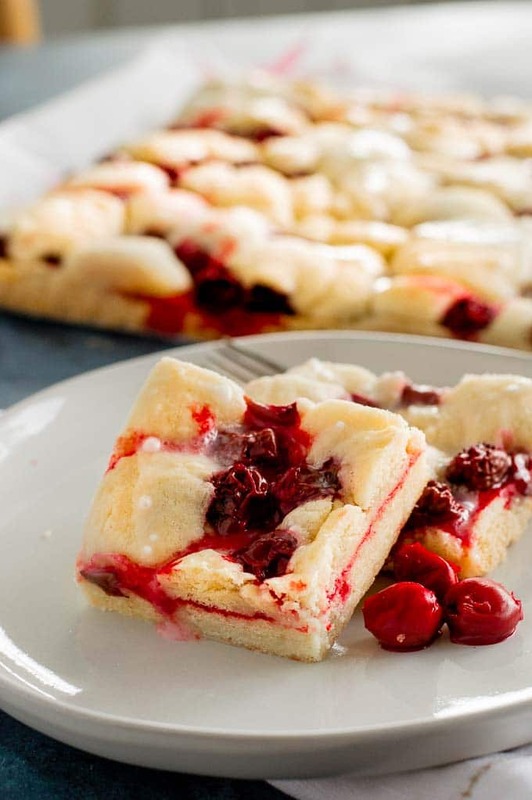 Cherry Pie Bars (Cherry Kuchen bars) are an easy make- ahead dessert for Summer BBQ's! 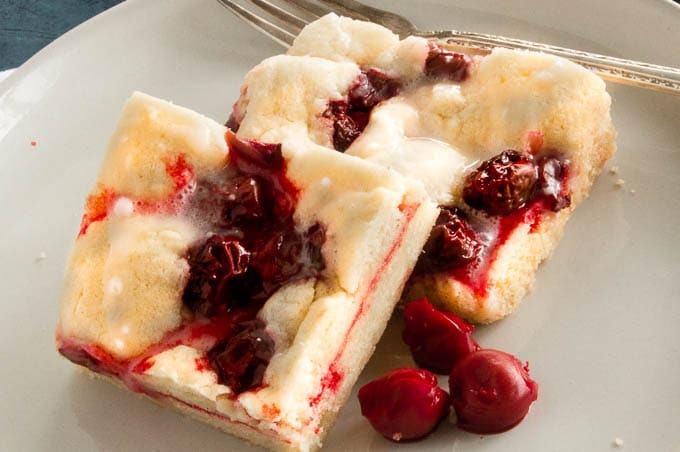 Tart cherries give a burst of flavor over the tender crumb bar in every bite! 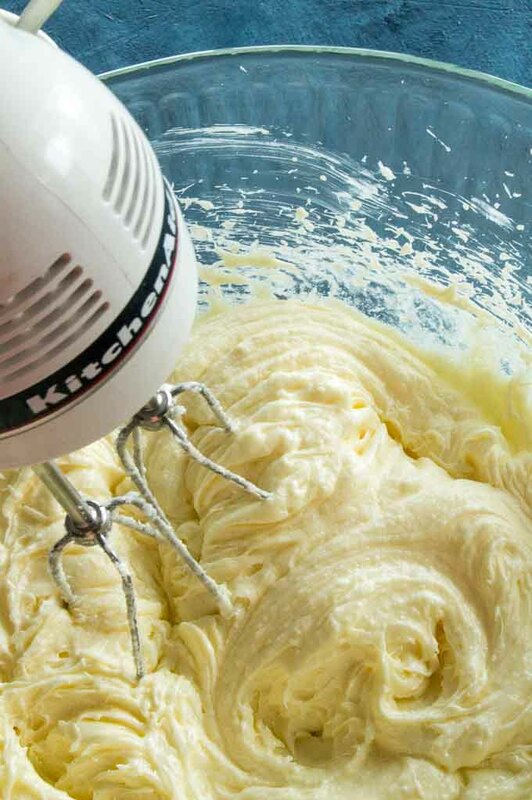 In a large bowl beat together the butter and sugar for about 30 seconds. In a small bowl crack eggs and remove from the shell, add vanilla and stir to blend completely with a fork. 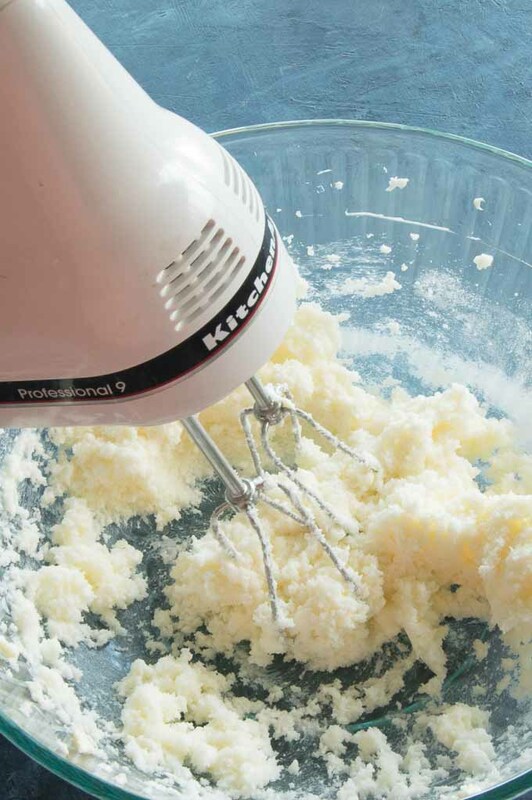 Add egg/vanilla mixture to Sugar/butter mixture and mix until just combined. Mix in the flour until just combined, do not over mix. 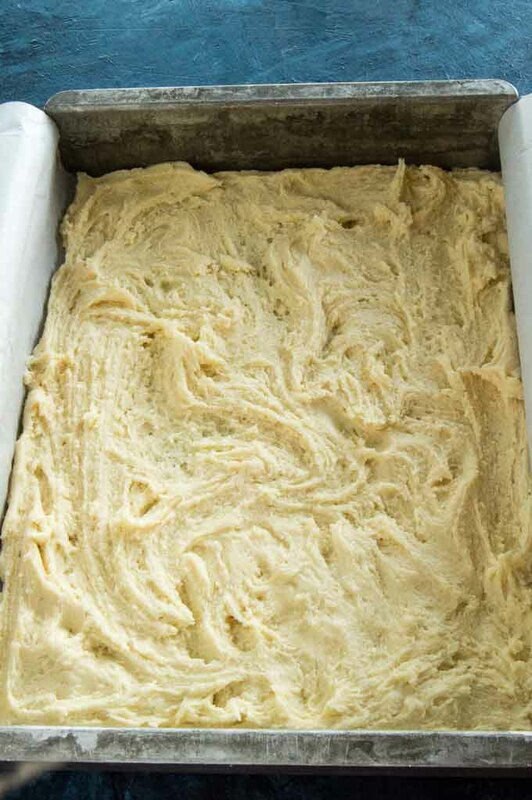 Remove 1/3 of the batter/dough and save for the topping. Grease the bottom of a 9X 13 baking dish. Then place a sheet of parchment paper in the bottom leaving about 6 " handles to be able to lift out the finished bars for cooling. Place the 2/3 portion of dough in the center of the pan on top of the parchment paper. 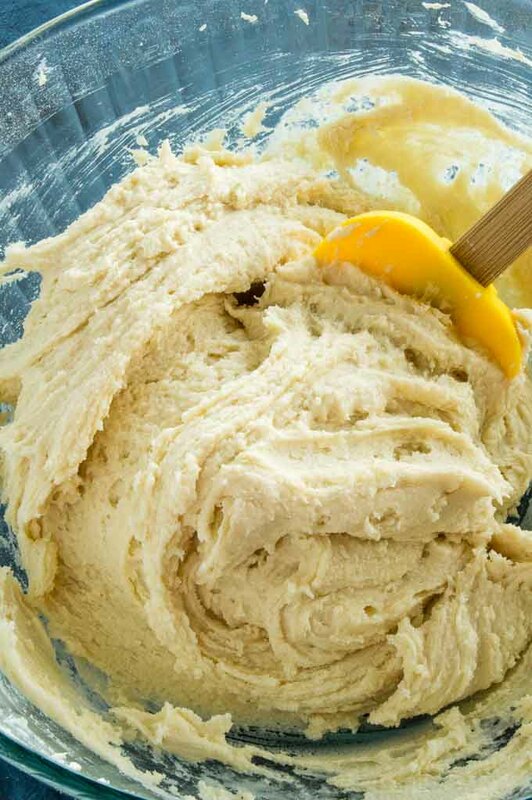 Using your fingers, gently push the dough to fit across the bottom of the pan. While the crust is baking place cherries, cornstarch and sugar in a bowl and stir to blend well. When crust comes out of the oven, spread the cherry pie filling over the top of the baked crust. Take the unbaked 1/3 portion of the batter/dough and shape into small balls and sprinkle over the top of the cherry pie filling. Bake for 30 minutes until the top is just starting to turn golden color. Using the handles, lift the cherry pie bars out and place on a wire rack to cool. Allow to cool at least 15 minutes. 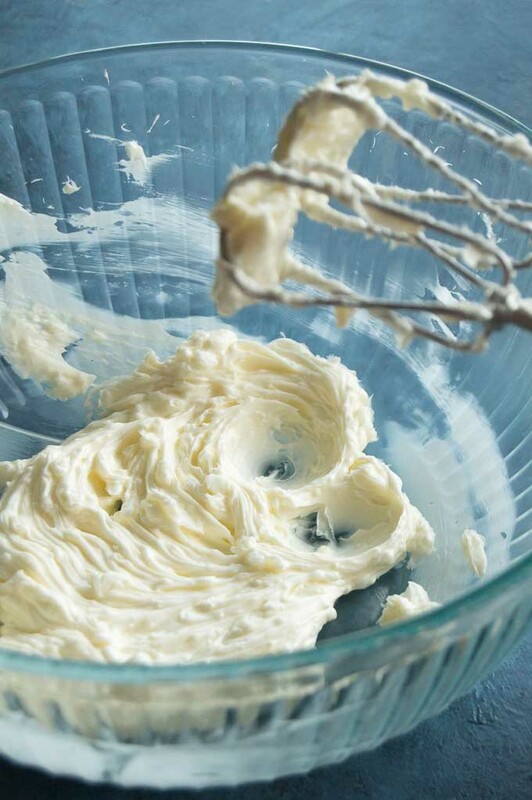 In a small bowl stir the powdered sugar and milk together to get a sugar frosting to drizzle consistency. Once bars have cooled, using a spoon drizzle the sugar/ milk frosting over the top in cross patterns. When ready to serve cut to squares. Can be made ahead and served cold. This recipe is from Grandma Oma's Cookbook. (Grandma Oma was my grandmother.). That probably means it came from a label on a jar of cherries at one time before she wrote out the recipe for herself for her recipe book! Talk about a delicious and easy dessert sure to please everyone! I love cherries so I am definitely make this. Love that you can use canned pie cherry filling in a pinch! 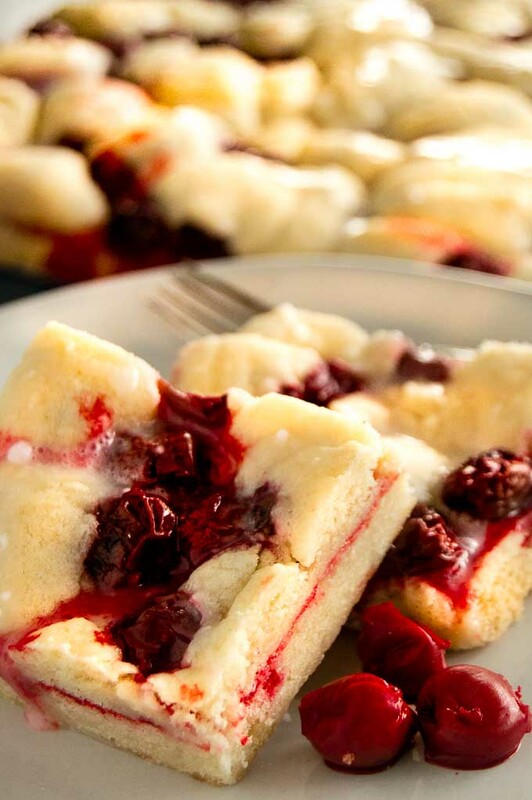 These cherry pie bars are a scrumptious after dinner treat! I’m going to try them with all sorts of summer fruits, but I love the cherry version! It is dangerous how easy these are to make because I know I can easily whip up more for our BBQ tonight, so I am not stopping myself from eating all of this first batch! SO SO Good!